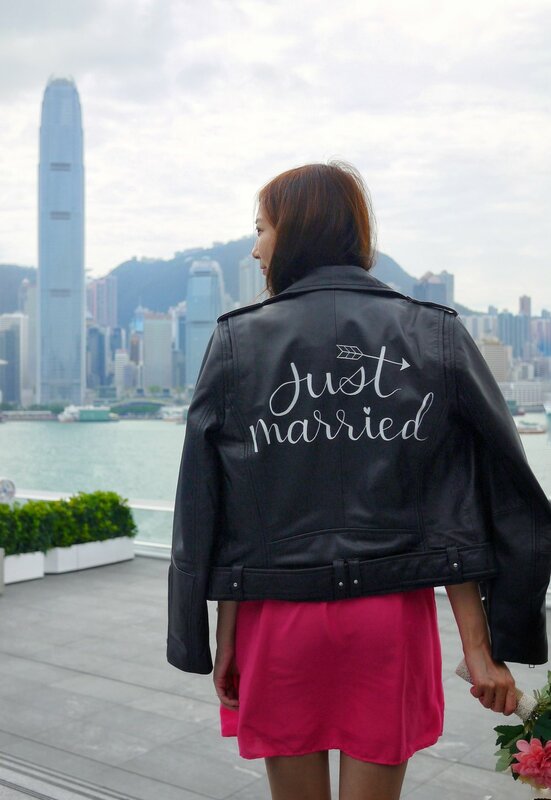 What is the The Just Married Jacket? 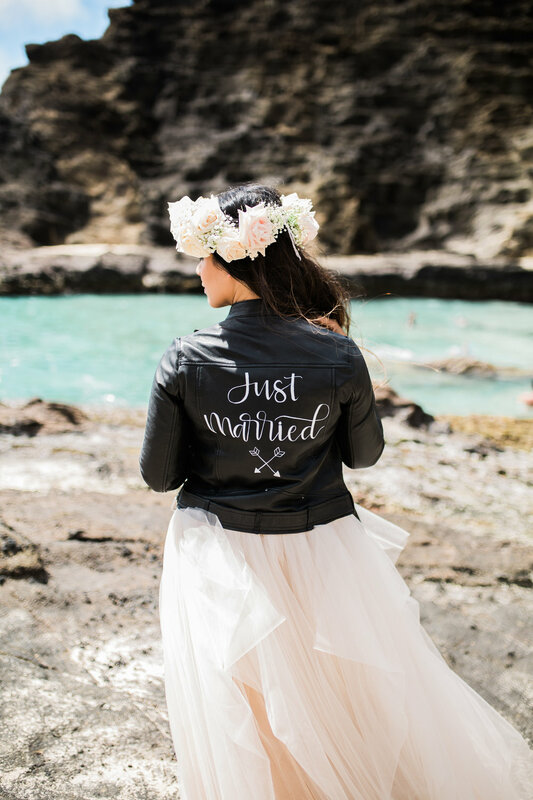 #TheJustMarriedJacket was brought to life by Sylvia, of ViaCalligraphy, who wanted incorporate some of her edgy personality into her intimate 8-person wedding. Read more about her story at ViaCalligraphy. 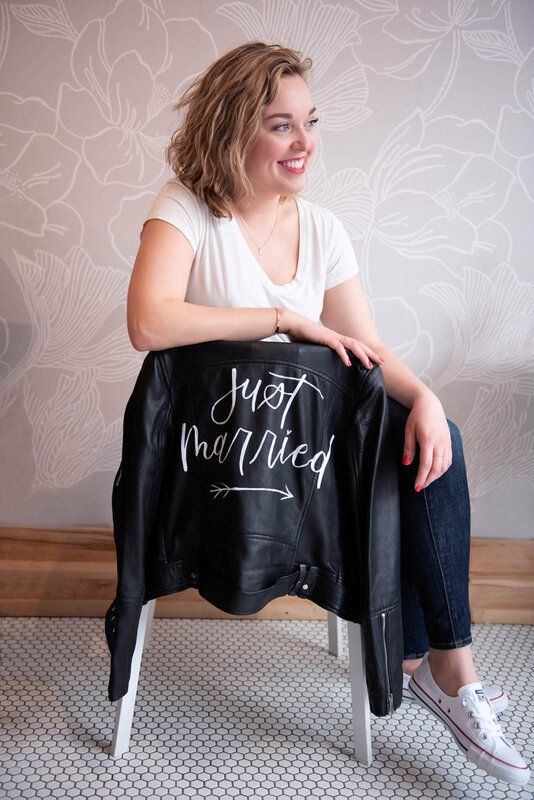 Since her wedding in June 2016, the original #TheJustMarriedJacket has touched the weddings of over 30 Toronto brides with full bookings all the way through 2018. 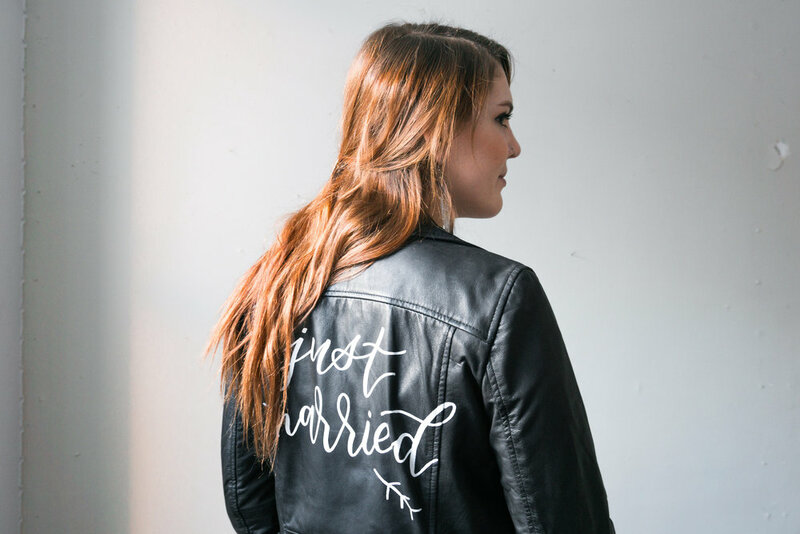 I joined the ranks of Sylvia's crew of badass calligraphy babes in 2018, and started the Montreal Chapter - #TheJustMarriedJacketMTL. I'm super excited to be a part of the movement, and to spread the love to local brides here in Montreal! Check the calendar below to see if the jacket is available on your wedding date. Then contact me via the form below to claim it for that week! 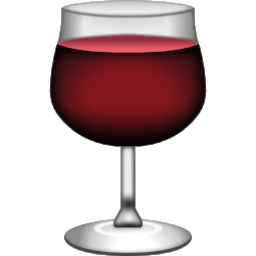 Come pick up the jacket, and leave behind a bottle of red! 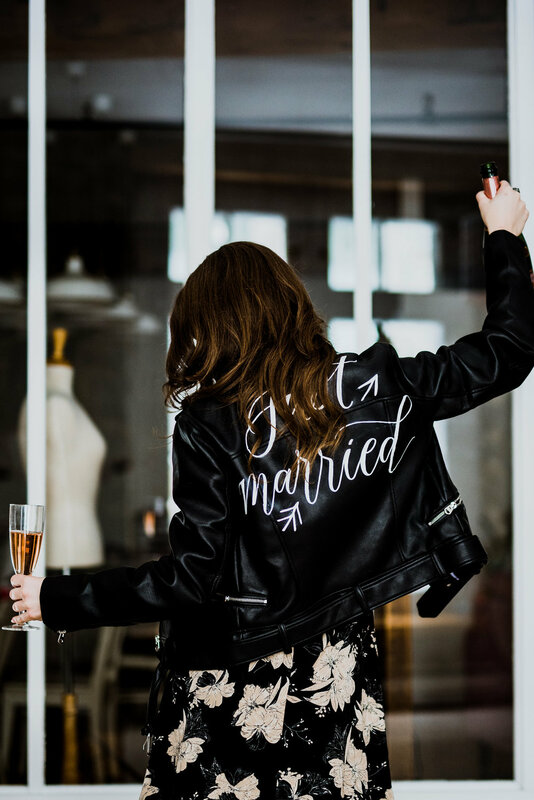 Bring back #TheJustMarriedJacketMTL on the designated day for the next bride to join our girl gang! What size is #TheJustMarriedJacketMTL jacket? How long can I reserve #TheJustMarriedJacketMTL for? Each booking is exactly one week - From the Thursday before your wedding, until the Wednesday after. Will you ship #TheJustMarriedJacketMTL jacket outside of Montreal? At this time, #TheJustMarriedJacketMTL is solely available to those within the city who can come pick up and drop off the jacket. You are welcome to reach out and get on the waitlist for a particular date. Another option is to order a custom jacket made just for you! 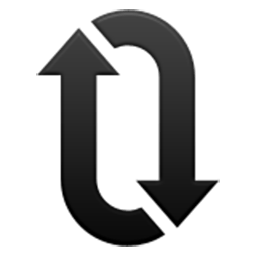 Where do I pick up and return the jacket? I've teamed up with the wonderful ladies of Dream It Yourself who will be keeping the jacket in their beautiful space in Old Montreal. The jacket can be picked up and returned there. What if I'm not in Montreal? 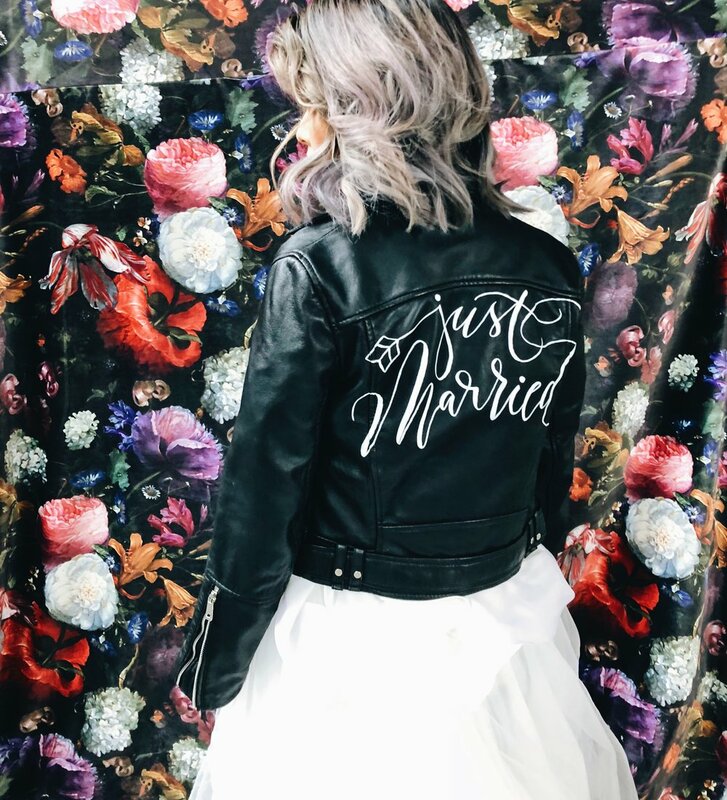 If you are outside the city, but are interested in having your own custom bridal jacket, I would be happy to work on a unique design just for you! #TheJustMarriedJacket cannot be replicated, as a way to keep the idea authentic and true to its roots. However, I would love to work with you to design your own special piece - for your wedding day, or everyday! Planning your wedding & looking for ways to add personalized touches to your big day?